Properties in Oriago average 4.5 out of 5 stars. Like at home, near Venice. Property 10: Like at home, near Venice. Apartment in a farmhouse, Venice. Bedroom, bathroom, kitchen / living room complete. Property 13: Apartment in a farmhouse, Venice. Bedroom, bathroom, kitchen / living room complete. 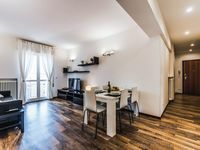 Property 17: Venice with a green heart! HISTORICAL CENTER WITH VENETIAN TERRACE ON THE ROOF. LUXURY APARTMENT. Property 30: HISTORICAL CENTER WITH VENETIAN TERRACE ON THE ROOF. LUXURY APARTMENT. Modern family-studio, between San Marco Square and Arsenale. Property 32: Modern family-studio, between San Marco Square and Arsenale. Property 40: Ca' Delfina: your nest of peace in the city centre. Great apartment! Beautiful clean new! Great location! Wonderful host! Had whole family! Enjoyed!! !